The deposed crown prince of Saudi Arabia, Mohammed bin Nayef, has reportedly been put under house arrest after the recent reshuffling in the country’s royal succession. 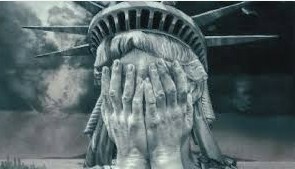 On Wednesday, the New York Times cited four current and former American officials and Saudis close to the royal family as saying on condition of anonymity that Mohammed bin Nayef has been barred from leaving the country and confined to his palace in the coastal city of Jeddah. The guards at Mohammed bin Nayef’s palace in Jidda have reportedly been replaced by guards loyal to Mohammed bin Salman and Nayef has not been allowed to leave his palace since then, the report said. 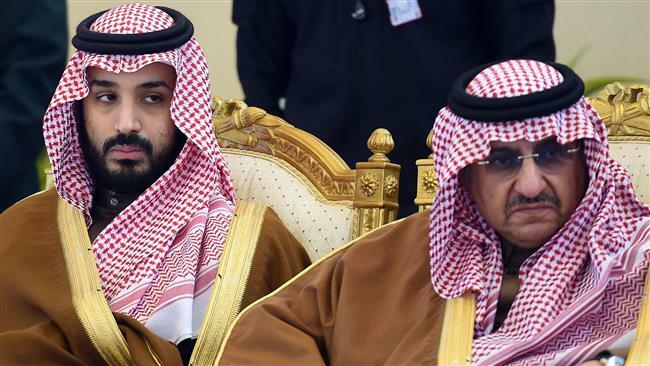 On June 21, Saudi King Salman bin Abdulaziz Al Saud issued a royal decree to replace Crown Prince Mohammed bin Nayef bin Abdulaziz Al Saud with his own son. According to the decree, the 31-year-old crown prince is also named deputy prime minister and shall maintain his post as defense minister. The Saudi internal security services have apparently taken the measure in an attempt to limit any potential opposition for the new crown prince Mohammed bin Salman, the NY report said. The new restrictions were imposed almost immediately after Mohammed bin Salman’s promotion, the report added. This is while Saudi state news outlets have extensively tried to portray a smooth transition by repeatedly broadcasting a video showing Mohammed bin Salman kissing the hand of Mohammed bin Nayef, who wishes him well. The Saudi Information Ministry officials could not immediately be reached for comment and it is unclear how long the restrictions will remain in place. American officials have not had any formal contact with Mohammed bin Nayef so far, but they are monitoring the situation closely, the official said. The restrictions have also been imposed on Mohammed bin Nayef’s daughters, the report said. A married daughter was reportedly told to stay at home, but her husband and their children do not face that restriction. Young Mohammed bin Salman was little known both at home and abroad before Salman became king in January 2015. However, King Salman has significantly increased the powers of his favored son, with observers describing the prince as the real power behind his father’s throne. As the defense minister, Mohammed bin Salman has faced strong international criticism for the bloody military campaign he launched against neighboring Yemen in 2015 amid rivalry with bin Nayef, the then crown prince and interior minister. Mohammed bin Salman, according to analysts, appears to have orchestrated the Persian Gulf diplomatic crisis, which has seen a Saudi-led bloc of countries cut ties with Qatar and impose an economic siege on the country. أيهما أخطر.. العدوان على اليمن أم حصار قطر؟! 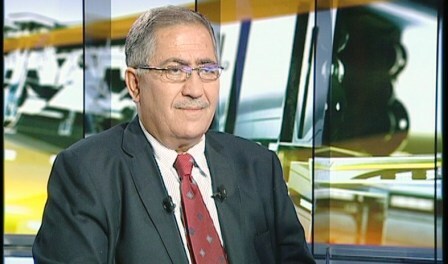 While Avi Issacharoff was talking about reflective shells against Israel from time to time, he excluded that there is an intended Syrian shooting, considering that the main Israeli fear is not from sending mortar bombs, however “the most important threat” according to the description of Issacharoff and which its source is the approaching of the allies of the President Al-Assad from the borders with Jordan and the Occupied Palestine. He revealed that there is a coordination with Jordan, but he pointed out that that it is doubtful whether this coordination can prevent or stop what he called the forces supported by Iran specially Hezbollah and its allies of Pakistani, Iraqi, or Afghani origins from approaching the borders with the Israeli entity, adding that what he called as the axis of Hezbollah is progressing while ISIS in no longer exist in this region, concluding that informal Israeli behavior which says” we wish success to the two parties” has become less relevant to the reality after the important successes of one of the parties. Avi Issacharoff concluded that “the reflection of these successes in Syria and Iraq can be seen and heard in the recent days in Lebanon through the enthusiastic declarations of the Secretary-General of Hezbollah Al Sayyed Hassan Nasrollah who has promised that in the next war with Israel, the airspaces will be open in front of thousands and maybe hundreds of thousands of fighters from all the Arab and the Islamic countries to participate. Avi Issacharoff is the Middle East analyst for The Times of Israel. Many radio and TV shows host him as a commenter on the Middle East affairs, until 2012, he was the Palestinian and Arab affairs correspondent for the Israeli newspaper Haaretz, moreover, he is a lecturer in the contemporary Palestinian history at Tel Aviv University, he got a bachelor degree with excellence from Ben-Gurion University in the sciences of the Middle East, and got MA from Tel Aviv University in the same subject. He is fluent in Arabic; he is considered the closest analyst to express the military and the security concern and put it to circulation before public opinion. He occupied the position cherished by the famous analyst Ze’ev Schiff until his departure in 2006. His two books which won Israeli awards are “The Seventh War” and “34 Days: Israel, Hezbollah, and the War in Lebanon” they are the most important references for reading the military and the strategic variables that surround Israel’s security. When you read Issacharoff and listen to Al-Arabiya TV and when you re-read the Saudi campaign in the newspapers funded by Riyadh about the same subject, about what was called by Issacharoff as the echo of the major shifts which threaten the security of Israel entitled Hezbollah, through the words of Al Sayyed Hassan Nasrollah about opening the borders and the airspaces. And when Al Sayyed indicated in his speech to two major shifts that prove the threat, the position of the Popular Crowd and the status of Ansar Allah in the resistance axis, which means common axis with Hezbollah, because the two leaderships of the two teams issued a clear announcement to support Hezbollah in any forthcoming war, and surpassing the borders of the alliance in facing common dangers and the related fate. So after understanding all of that, we conclude that the campaign which targets Hezbollah and the words of Al Sayyed Nasrollah become understood as meeting a request or a decision which started as an Israeli and turned to be American and then it reached to Lebanon and we heard its echoes, but the words of the speech of Al Sayyed are clear, while according to them when the war takes place and if Israel makes an aggression, then there are no place for conditions because the issue becomes the sovereignty of Lebanon, as though, if the aggression occurs it will not affect the sovereignty, so the concern of the objectors is no longer to respond to the assault on sovereignty, but to restrict the confrontation with what does not disturb Israel or confuse it, or maybe it deters it under the pretext of sovereignty, so they volunteered to deter Hezbollah and that was their mission. – ذكر معلّق الشؤون العربية في موقع «والاه»، آفي يساسخاروف، أن «سلسلة التطورات الأخيرة في الحرب بين الجيش السوري والمسلحين، تشير الى أن مساحة الراحة النسبية التي ملكتها «إسرائيل» على الجبهة الشمالية تتقلّص، وبعبارة أخرى، إن هزيمة «داعش» نفسها، قد تنبئ بتصعيد محتمل في الشمال بين «إسرائيل» وبين الجيش السوري وبالطبع حزب الله.» وأضاف يساسخاروف، أن ما أسماه «السنوات الأخيرة من الحرب السورية دفعت الى تقييد حزب الله بموارده وطاقته أمام مواجهة مع «إسرائيل»، لكن في الأسابيع الأخيرة بدا أن هذا التوجّه تبدّل والميزان يميل لصالح جنود الرئيس بشار الأسد، وحزب الله وإيران. فالمعارك في الموصل في العراق على وشك الانتهاء، ومن الواضح أن التالية ستكون الرقة، عاصمة «داعش» في سورية. حتى على حلبات أخرى فقد سجّل الجيش السوري نجاحات بارزة، مثل منطقة دير الزور شمال الدولة. ويشير آفي يساسخاروف الى أن ما أسماه «الميليشيات العسكرية المختلفة»، سواء المؤيدة للأسد أم المسلحون له، تتسابق الآن على المناطق التي ينسحب منها «داعش»، وبطبيعة الحال منها المنطقة التي تقلق «إسرائيل» أكثر من كل شيء وتقلق أيضًا جارتها من الشرق، الأردن، مشيراً في هذا السياق، إلى المعارك التي تجري في منطقة درعا وكذلك في الجولان السوري. – وفيما تحدّث يساسخاروف عن وجود قذائف مرتدة نحو الجانب «الإسرائيلي» من حين الى آخر، استبعد أن يكون هنالك إطلاق نار سوري مقصود، معتبراً أنّ الخشية «الإسرائيلية» الأساسية ليست من انزلاق قذائف هاون، وإنما «التهديد الأكثر أهمية»، وفق وصف المعلق يساسخاروف، مصدره اقتراب حلفاء الرئيس الأسد الى الحدود مع الأردن، ومع فلسطين المحتلة، كاشفاً عن وجود تنسيق مع الأردن في هذا الموضوع، لكنه أشار الى أنه من المشكوك فيه إذا كان هذا التنسيق يمكنه أن يمنع أو يوقف اقتراب من أسماها القوات المدعومة من إيران، خصوصاً حزب الله وحلفاءه من القوات ذات الأصول الباكستانية، العراقية، أو الأفغانية الى الحدود مع الكيان «الإسرائيلي»، مضيفاً أنّ ما أسماه بـ«محور حزب الله» يتقدّم بينما تنظيم «داعش» غير موجود في هذه المنطقة، وخالصاً الى أنّ «السلوك الإسرائيلي غير الرسمي الذي يقول: «نتمنّى النجاح للطرفين» أصبح أقلّ ذي صلة بالواقع على ضوء النجاحات المهمة لأحد الأطراف». – يساسخاروف للذين لا يعرفون الإسم هو محلل شؤون الشرق الأوسط في صحيفة «تايمز أوف إسرائيل»، كما وتستضيفه برامج إذاعية وتلفزيونية عدة كمعلّق على شؤون الشرق الاوسط. حتى عام 2012 شغل يساسخارف وظيفة مراسل الشؤون العربية في صحيفة «هارتس» بالإضافة الى كونه محاضراً في التاريخ الفلسطيني المعاصر في جامعة تل أبيب. تخرّج بامتياز من جامعة بن غوريون مع شهادة بكالوريوس في علوم الشرق الأوسط واستمرّ للحصول على ماجيستير امتياز من جامعة تل أبيب في هذا الموضوع. كما ويتكلم يساسخاروف العربية بطلاقة، ويعتبر المحلل الأقرب للتعبير عن هواجس الجهات العسكرية والأمنية وطرحها للتداول أمام الرأي العام، ويحتلّ المكانة التي احتكرها المحلل الشهير زئيف شيف حتى رحيله عام 2006. وكتابا يساسخاروف اللذان نالا جوائز «إسرائيلية»، هما: «كيف نربح الحرب القادمة»، و«33 يوماً من الحرب مع حزب الله»، يعتبران المرجعين الأهمّ لقراءة المتغيرات العسكرية والاستراتيجية المحيطة بأمن «إسرائيل». – عندما تقرأ يساسخاروف وتسمع قناة «العربية» وتعيد قراءة الحملة السعودية في الصحف المموّلة من الرياض والموضوع واحد، ما أسماه يساسخاروف بصدى التحوّلات الكبرى التي تهدّد أمن «إسرائيل» وعنوانها حزب الله، والدليل عنده كلام السيد حسن نصرالله عن فتح الحدود والأجواء. وقد أشار السيد ممهّداً لكلامه لتحوّلين كبيرين يجعلان التهديد في مكانه، موقع الحشد الشعبي ومكانة أنصار الله، في محور المقاومة والقصد محور مشترك مع حزب الله، والتحوّلان حديثان لجهة ما صدر عن قيادتي الفريقين من إعلان واضح لعزمهما الوقوف مع حزب الله في أيّ حرب مقبلة، وتخطّي حدود التحالف في مواجهة مخاطر مشتركة ومصير مترابط الحلقات، عندما نفهم كلّ ذلك تصير الحملة التي تستهدف حزب الله وكلام السيد نصرالله مفهومة كتلبية لطلب وقرار بدأ «إسرائيلياً» وصار أميركياً وتعمّم ووصلت اصداؤه إلى لبنان. فبدأنا نسمع بعض الأصوات، بينما الكلام واضح في نص خطاب السيد، عندما تقع الحرب وإذا شنت «إسرائيل» عدواناً، فسقطت عندهم الاشتراطات وصارت القضية عندهم سيادة لبنان، كأن العدوان قد وقع ووقوعه لا يصيب السيادة، وصار هم المعترضين ليس ردّ الاعتداء على السيادة بل حصر المواجهة بما لا يزعج «إسرائيل» ويربكها أو ربما يردعها بذريعة السيادة، فتطوّعوا لردع حزب الله، وتلك هي مهمتهم. 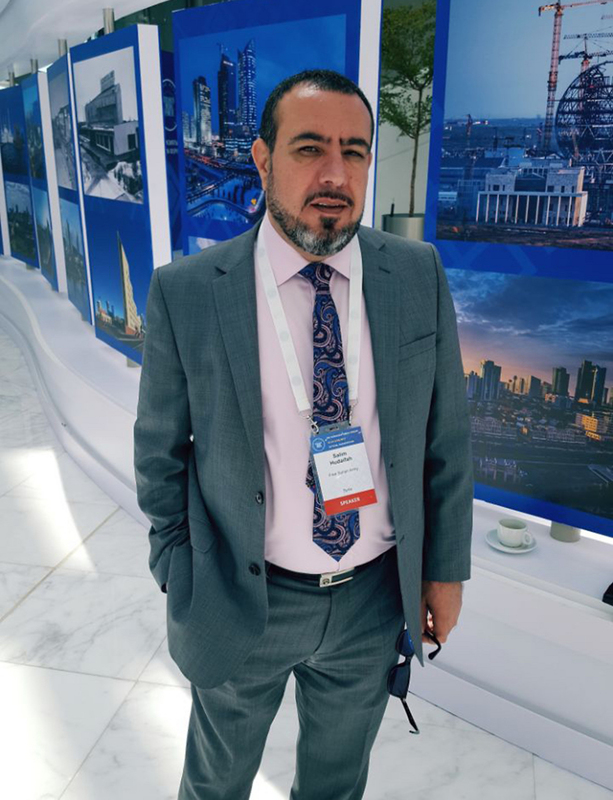 “We want peace with Israel, and today, among the opposition in Syria, most people understand that the enemy is Iran and not Israel, so there is a good chance that there will be peace in the future,” said Salim Hudaifa, a former Syrian military officer who serves as a political representative of the opposition’s Free Syrian Army, at the Eurasian Media Forum in Kazakhstan. Hudaifa is a former intelligence officer who abandoned Syria’s military in the 1990s and eventually gained asylum in Denmark. During the Syrian Civil War, Hudaifa was recruited by the U.S. to head a program to train the Free Syrian Army, but the program was eventually abandoned by the U.S. Defense Department. Israel is secretly supporting Syrian rebel groups along its border with Syria in the Golan Heights, providing rebels with funds, food, fuel and medical supplies, The Wall Street Journal reported last week. Syrian Op. Official: We Want Peace with Friendly ’Israel’! 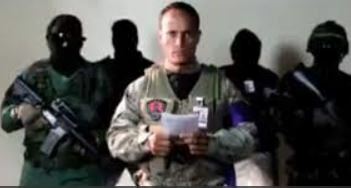 June 30, 2017 “Information Clearing House” – CARACAS– Opposition efforts to topple Venezuelan President Nicolas Maduro’s government are rapidly heating up, as months upon months of opposition protests have failed to make the inroads desired by the more extremist elements of the opposition and their foreign backers, particularly the United States. The U.S. has long sought to oust the left-wing regime that was brought to power in Venezuela by Hugo Chávez in the late 1990s. Since Chávez’s election, the U.S. is believed to have spent between $50 to $60 million to strengthen the country’s right-wing opposition in the hope that they would win elections. Former U.S. President Barack Obama alone dedicated $5 million to “support political competition-building efforts” in Venezuela. انتظرت مصر طويلاً تنفيذ مشروع مارشال أميركي اقتصادي يضعها في خانة الدول المتقدّمة، حسب ما وعدها الأميركيون عشيّة توقيع مصر معاهدة «كامب ديفيد» مع «إسرائيل» في 1979. هذه المعاهدة التي أخرجتها من الصراع العربي «الإسرائيلي»، وأطاحت النظام العربي العام على هامشيّته وزعزعت استقرارها. مصر اليوم تتّجه إلى كامب ديفيد جديد أخطر من سابقه، ويضعها في خدمة المشروع «الإسرائيلي» السعودي مع وعود بتقديمات اقتصادية تفكّ لها تعثّرها. ومجدّداً، تقع مصر ضحية الوعود الخيالية، ولا تكتفي بوقوعها ضحية مشروع مارشال كامب ديفيد الأولى، فها هي تندفع للسقوط في لعبة كامب ديفيد الثانية، وبعد 38 عاماً على توقيع المعاهدة الأولى التي لم تُفضِ إلّا إلى انهيار مصر ومعها العالم العربي. تنقسم مصر إلى تيار يؤمن «بمصرنة» مصر ونأيها عن صراعات الإقليم، مقابل عروبة منهكة وأمميّة إخوانية مصابة بالإعياء والإحباط… فشل التيار الأول الذي أسّسه أنور السادات على أساس عزلة مصر، فخسر قيادة العالم العربي من دون أن يربح وضعاً اقتصادياً مريحاً، فيما انزوت العروبة في مربعات من المثقفين الذين يطلقون خطباً «موديل 1960» في القرن الحادي والعشرين، فيبدون فولكلوراً ممجوجاً. أمّا التيار الأممي الإسلاموي، فأُصيب بضربة عسكرية من المشير السيسي أبعدته عن السلطة واعتقلت الرئيس مرسي الإخواني وزجّت به في غياهب السجن، بتأييد سعودي أميركي. وهناك تيارات شعبية صغيرة تحاول التأثير على نزق النظام بواسطة التحركات الشعبية والإعلام، لكنّ القمع يدفعها إلى الانزواء… إلى جانب الحركات الصوفية المعتدلة التي تبدو حالياً كمن أُصيب بغيبوبة سياسية، سببها عدم تمركز هذه الحركات في بناء مركزي موحّد، ما أدّى إلى ضمور دورها واقتصاره على الابتهال والتواشيح الدينية. أمّا الأزهر الشريف، فمقسوم بدوره بين أجنحة موالية للسلطة، وأخرى للسعودية الوهابية، وثالثة للإخوان إلى جانب قوى مستقلّة ليست بذات وزن. لذلك يتجاهل الأزهر الأوضاع الداخلية، رافضاً اتهام الإرهاب بالكفر ومصرّاً على أنّهم يرتكبون أخطاء. ويعتبر أنّ الصراع دائر بين مسلمين، فلا يضيع شيء لمصلحة «الفرنجة والكفار»، على حدّ تعبير شيوخه. لذلك تستغلّ التنظيمات الإرهابية المشتقة من «القاعدة والإخوان» هذا التفكك لمهاجمة مراكز الجيش المصري وكنائس الأقباط في الصعيد والمحافظات الفلاحية وصحراء سيناء، وحتى المدن والعاصمة. واللافت أنّ الأقباط لا يعملون على أيّ مشروع سياسي تقسيمي قد يبرّر استهدافهم، ما يضع هذه الهجمات في خانة الأعمال الطائفية الصرفة المنسّقة مع «إسرائيل» وواشنطن. هذا هو المشهد المصري اليوم… انهيار اقتصادي متدحرج يتقاطع مع تراجع هائل في الموارد السياحية والصناعية والزراعية… اضطرابات أمنية متواترة، وعدم استقرار سياسي مقابل علاقات عميقة بواشنطن و»تلّ أبيب». ولمعالجة هذا التدهور المريع السياسي الاقتصادي الأمني، أعلنت مصر ولاءها للسعودية في قمّة الرياض بزعامة الرئيس الأميركي ترامب. وفي مبادرة لحسن النيّة، أعادت إليها جزيرتي تيران وصنافير في حركة لاقت استياءً مصرياً شعبياً لم يتمكّن حتى الآن من التعبير عن نفسه. كما انضمّت إلى المحور السعودي الإماراتي البحريني المطالب بعزل دولة قطر، وصولاً إلى حدود إلغاء النظام القطري. يبدو أنّها تذهب إلى كامب ديفيد جديد بخلفيّتين: تحسين وضعها الاقتصادي، وضرب الإخوان المسلمين المعتمدين على التحالف القطري التركي. أمّا في العمق، فيبدو أنّها تتأقلم مع مشروع أميركي جديد يبتدئ من الخليج ومصر و»إسرائيل» ليشمل لاحقاً دولاً عربية وإسلامية أخرى. مصر السيسي تطمح إلى مسكّنات خليجية وأميركية وأوروبية تعزّز من قابليّتها على انتظار الاستثمار في مواردها الغازيّة، وتعتقد أنّ ضرب الإخوان المسلمين من شأنه تعزيز قدراتها على الإنتاج الزراعي والصناعي والسياحي. لكنّ الحقيقة أنّ الدولة المصرية ذاهبة للالتحاق بالمحور الأميركي السعودي «الإسرائيلي» في مواجهة إيران وروسيا في حركة تبعيّة قد تُفضي إلى أخطر من النتائج التي رست عليها معاهدة كامب ديفيد الأولى. فهذا الاستلحاق لا يعني أبداً إمكان تحسّن الوضع الداخلي «للمحروسة» وشعبها، بقدر ما يرتبط بمشاريع القضاء على القضية الفلسطينية والمساعدة في دعم الدور السعودي الإرهابي في الخليج وسورية والعراق وأمكنة أخرى. فواشنطن طامحة إلى تأسيس تحالف شرق أوسطي تقوده السعودية بمعاونة مصرية «إسرائيلية»، ولاحقاً تركية. لا شكّ في أنّ المصريين يتّسمون بصفة الصبر، إنّما مع التزامهم بحدود يليها عادة انفجار قد يطيح بالسيسي والإخوان، ويُعيد إلى مصر خطّ انفتاحها التاريخي على بلاد الشام على قاعدة أنّ تحسين أوضاعها رهن بتطوّرها الداخلي، وليس بالاستتباع للخارج الذي نال من هيبة أرض الكنانة. DAMASCUS, SYRIA (3:30 P.M.) – On Friday morning, the Lebanese Army raided two major refugee camps in the Jird Arsal area near the eastern border with Syria amid credible report they had been infiltrated by outlawed groups. During the large-scale crackdown, Lebanese security forces went from door-to-door in the Al-Nour and Al-Qaroyah camps and arrested some 300 suspected Islamic State and Hay’at Tahrir Al-Sham (Syrian Al-Qaeda) militants after informants supplied a full list of designated terrorists to the government. Amid the surprise raid, at least 10 jihadist militants were killed after opening fire on the Lebanese Army as it stormed through the camps. In addition, a couple ISIS suicide bombers detonated their explosive belts, thereby inflicting casualties on approximately 30 Lebanese soldiers and non-combattants of Syrian nationality. The preemptive crackdown took place after rumours indicated that terrorist operations were in the making, aimed at terrorizing the population living in government-held urban areas. Both ISIS and Al-Qaeda maintain a minor presence in the West Qalamoun region despite being targeted frequently by government forces. Thus far, the Shia-led Hezbollah has largely refrained from involvement to deter sectarian tensions in the predominately Sunni border area.